Please take time to read David H. Johnston's well researched blog article (linked here) on the expeditionary and rolling exploits of Gino Watkins and his associates on the east coast of Greenland. 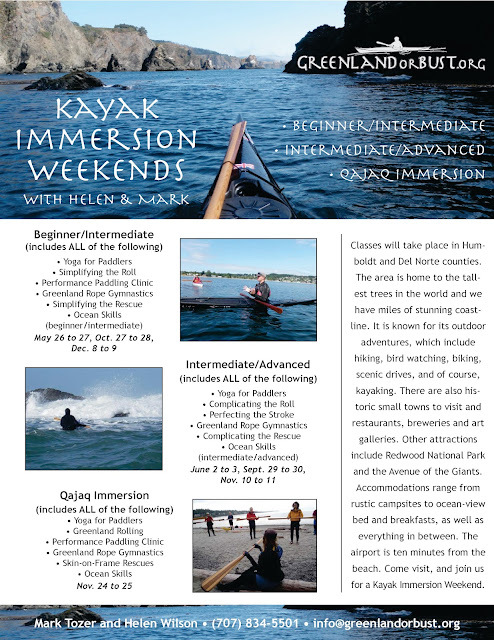 David maintains a excellent, resource rich website called Paddling Instructor. In the early 1700s an Inuk paddling a traditional Greenland kayak landed, alone and exhausted, on a beach near Aberdeen and died three days later. 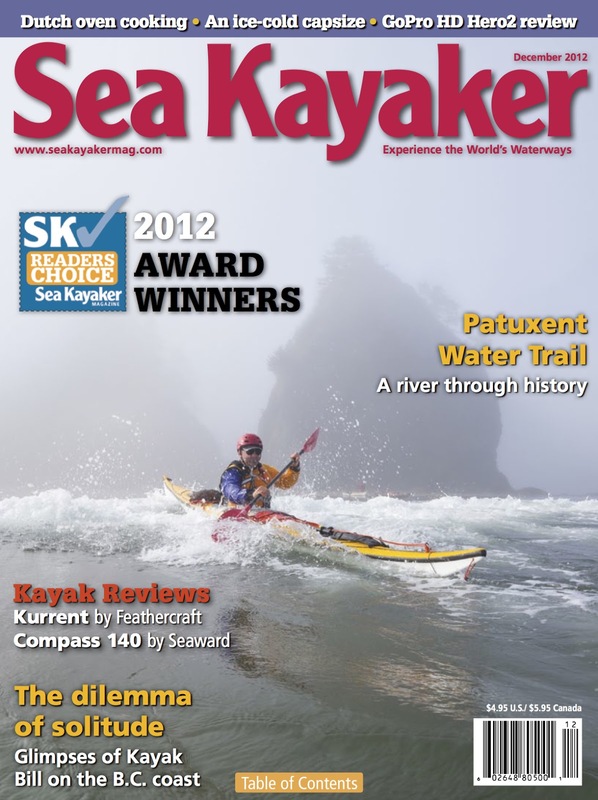 His kayak and hunting gear can still be seen today in the local Anthropological Museum. 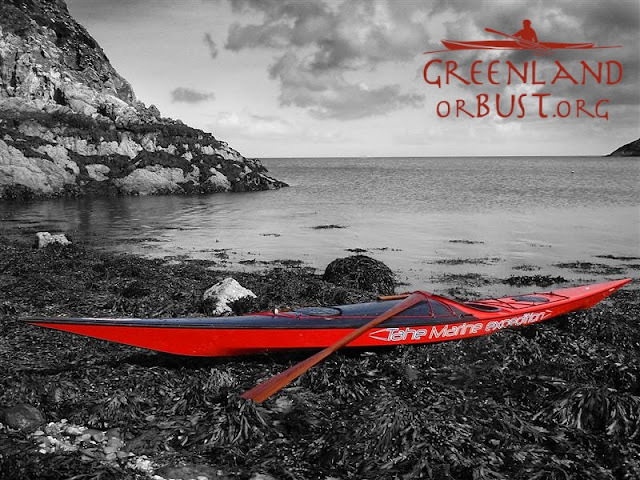 The idea that a man could have made the journey from Greenland to the north-east coast of Scotland with a tiny boat made from skin, bone and driftwood is difficult to comprehend, but it did happen. 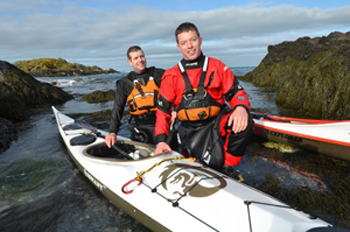 Norman Rogers spent most of his spare time in the practical art of kayaking. 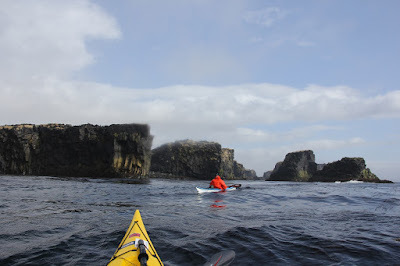 However, when his passion for paddling small boats was interrupted by an unexplained illness, he set out to investigate the Aberdeen mystery and, as is often the case, one mystery led to another – he discovered that around the same time as the Inuk landed in Aberdeen, individuals in kayaks, described locally as “Finmen”, were seen around the coasts of the Orkney Islands. Searching for the Finmen describes Norman’s researches into the history and culture of the Inuit, with particular reference to their mastery of the sea by means of the kayak, and his attempts to understand and resolve his medical condition and to resume kayaking. It also describes other outside influences which were key factors in explaining how a group of Inuit hunters from what was effectively a stone-age culture crossed the North Atlantic only two centuries after Columbus. 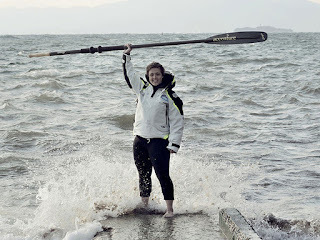 British adventurer and Kokatat supported athlete, Sarah Outen (26) is preparing to set off on her record-breaking solo row across the North Pacific Ocean, from Choshi, Japan to Vancouver, Canada. 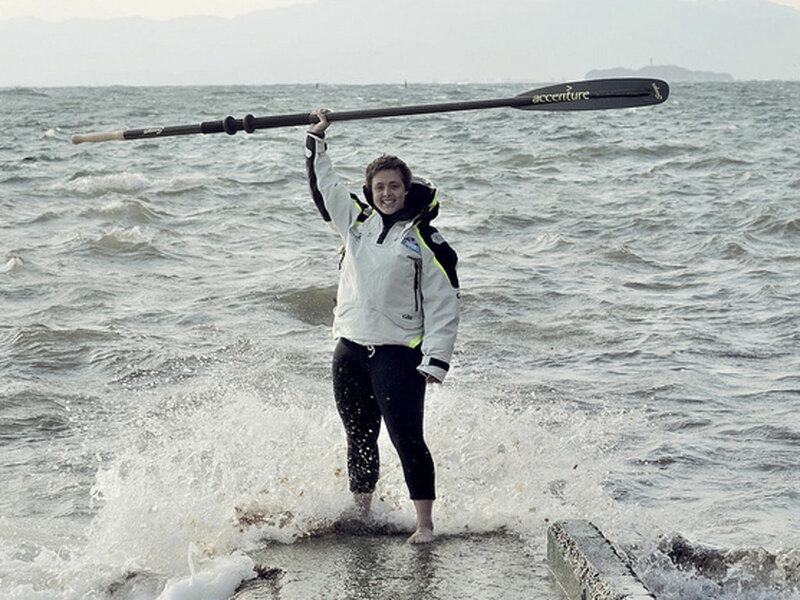 Upon landing in Vancouver, Outen will be the first woman to row across the North Pacific Ocean. 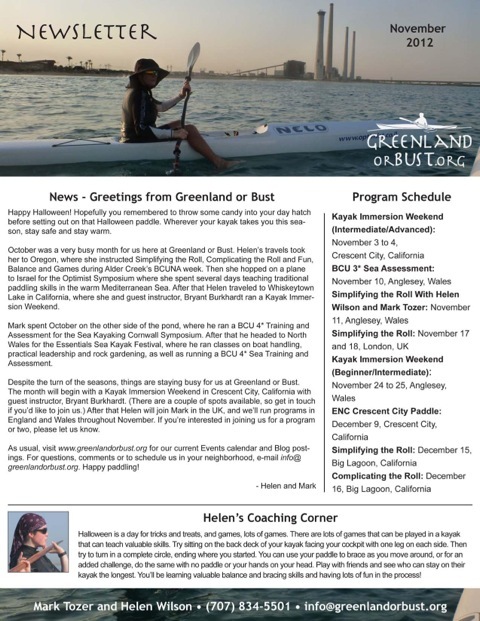 Outen delayed her departure last week due to an impending gale and is hoping to depart in the next week, weather depending. 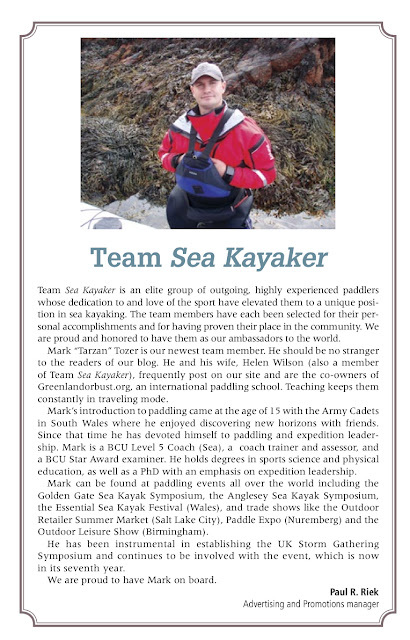 Once on the water, Outen will spend between 150 and 200 days alone out at sea during the 4,500 nautical mile journey. 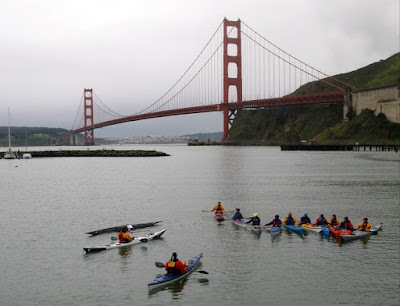 Only two men have previously rowed solo across this northern route from Japan to North America. Outen will be 100% self-sufficient with all the food necessary for the journey stocked on her 6.75m customized rowing boat, Gulliver. 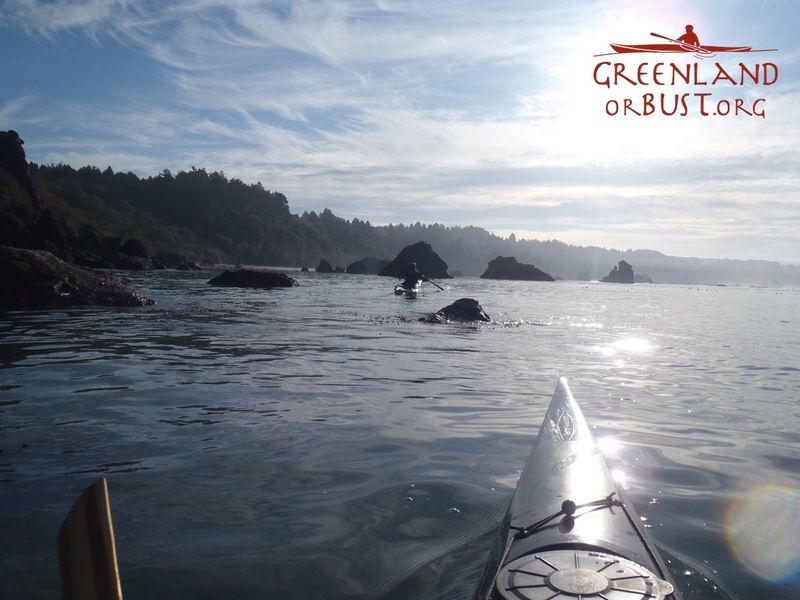 An on-board desalination machine, will convert seawater into drinking water and a full suite of communications equipment, charged by on-board solar panels, will allow her to conduct interviews, post blogs and tweet while on the ocean. 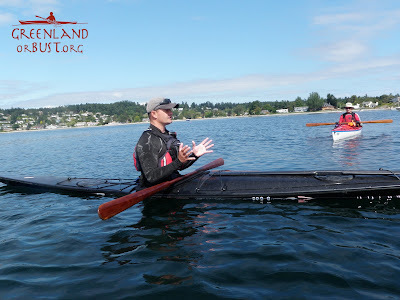 This North Pacific row is part of Outen’s wider, two and half year expedition, “London2London: Via the World” in which Outen will row, cycle, and kayak in a continuous loop around the planet, covering more than 20,000 miles. On 1st April, 2011, Outen began her London2London expedition. 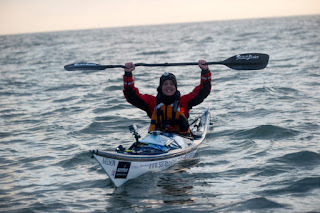 From London’s Tower Bridge in her kayak, Nelson, she travelled down the Thames and across the English Channel to France. 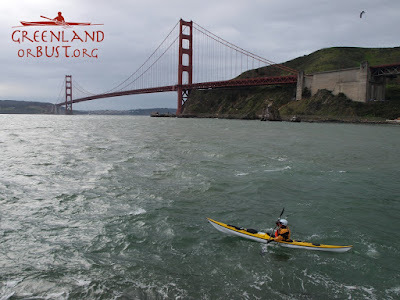 From there she cycled over 10,000 miles on her bicycle, Hercules, through France, Belgium, the Netherlands, Germany, Czech Republic, Poland, Ukraine, Russia, Kazakhstan, China and into Russia’s wild Far East. 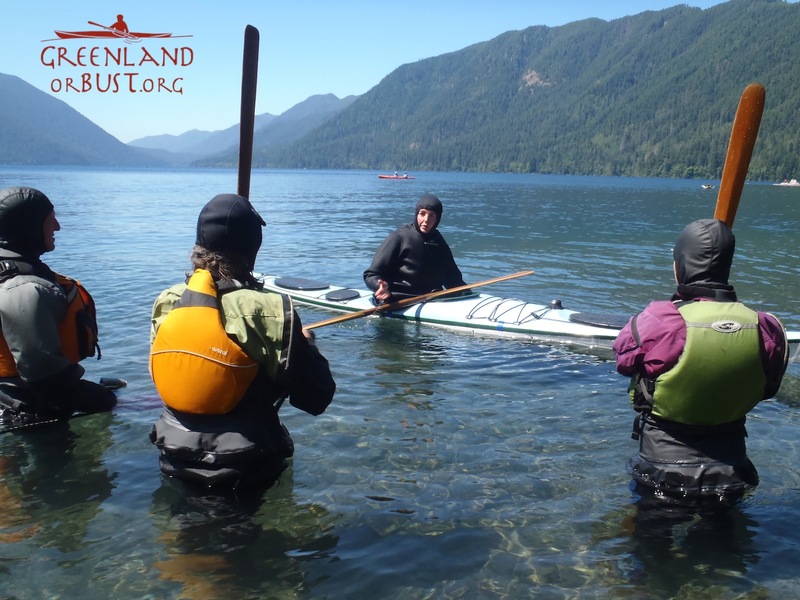 Outen then used Nelson and Hercules to paddle and cycle her way over 1,000 miles to Japan via the remote island of Sakhalin. 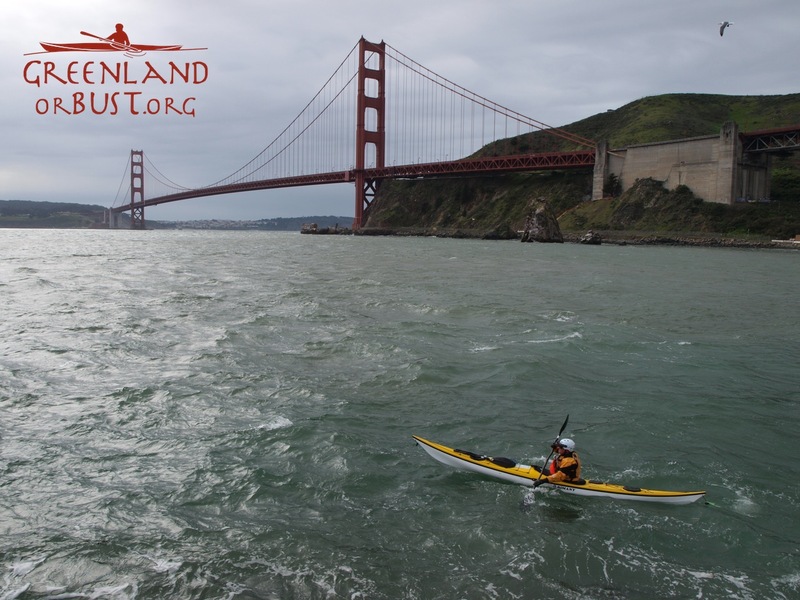 Once Outen has completed the trans-pacific segment, she will cycle 3,000 miles from Vancouver to Nova Scotia. 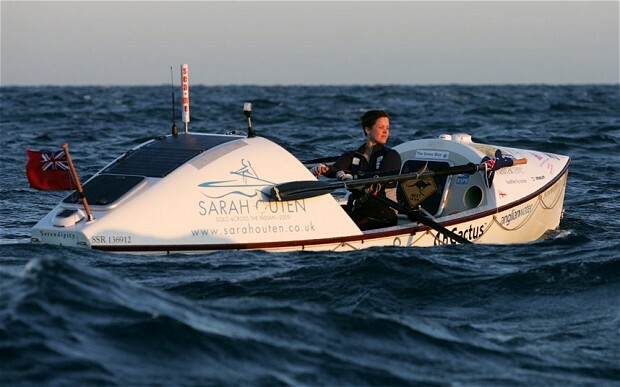 For the final major leg, Outen will row nearly 3,000 nautical miles to the UK across the North Atlantic Ocean. 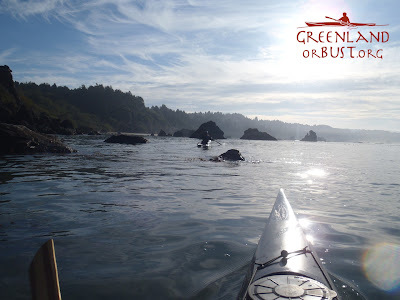 Outen is sharing her stories along the way through her website and social media to hopefully inspire young people to follow their dreams and believe that anything is possible. She is also hoping to raise £100,000 for her four chosen charities – CoppaFeel!, The Jubilee Sailing Trust, MNDA and WaterAid. 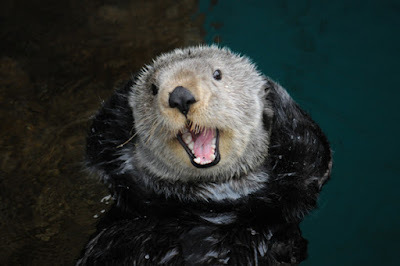 For more information on Outen’s and other Kokatat sponsored expeditions visit www.kokatat.com/expeditions . 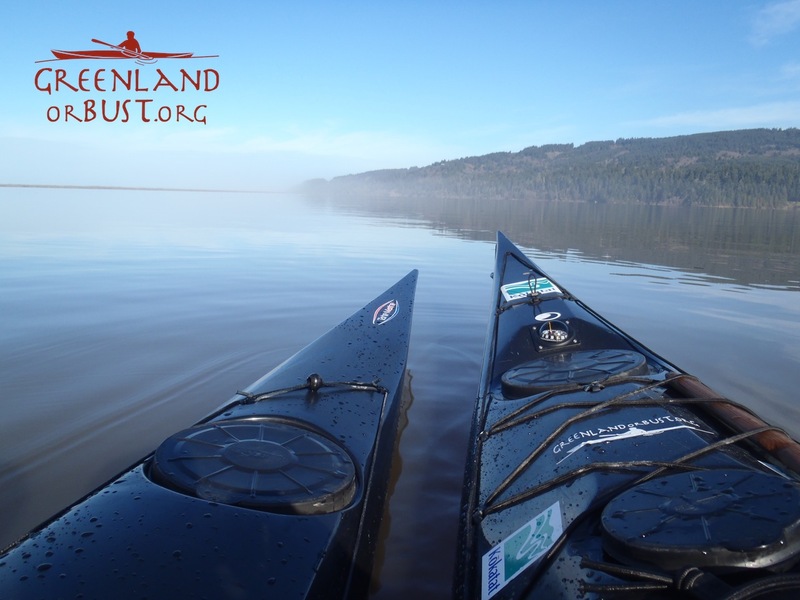 In 1895, Norwegian explorer Fridtjof Nansen abandoned his plan to reach the North Pole by ship and headed for the pole by dog sled. 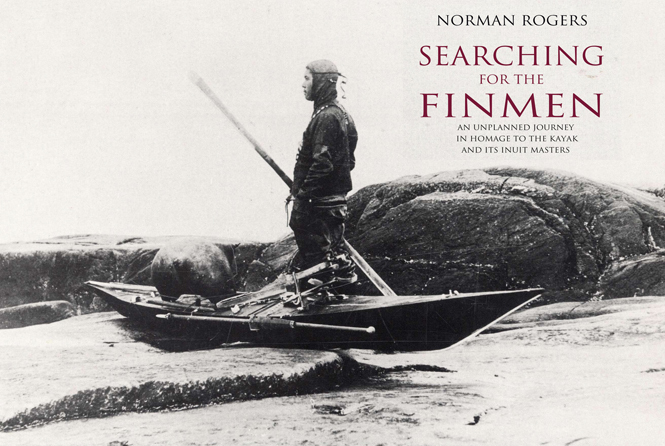 Nansen didn’t make it to the pole, but his journey and safe return became one of the poles most epic tales. Nansen’s plan had he reached the North Pole was to head for Spitsbergen, the only permanently populated island of the Svalbard archipelago in Norway. 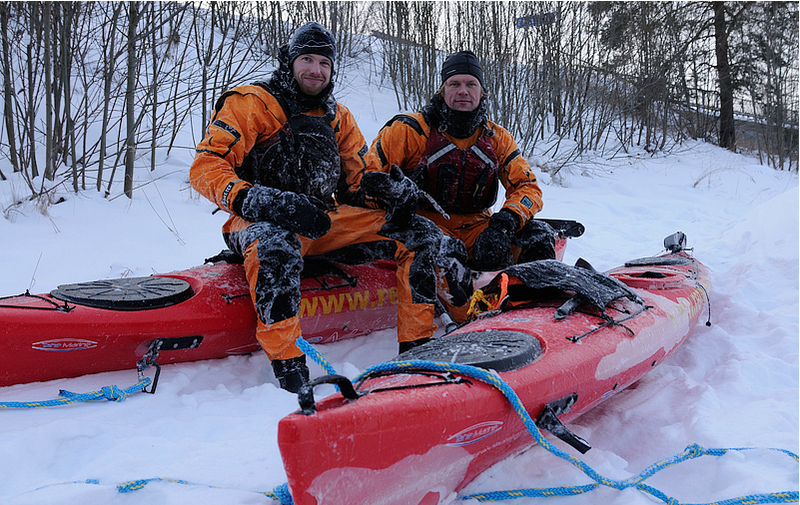 Arctic adventures Audun Tholfsen and Timo Palo just embarked on attempting this return route using Kokatat GORE-TEX® Expedition dry suits while navigating sections of open water and treacherous ice flows. 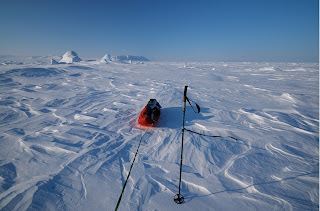 After being air dropped at the geographical North Pole, Tholfsen and Palo will use skis and kayaks to cross the drifting ice floes and open water on their way to Spitsbergen. 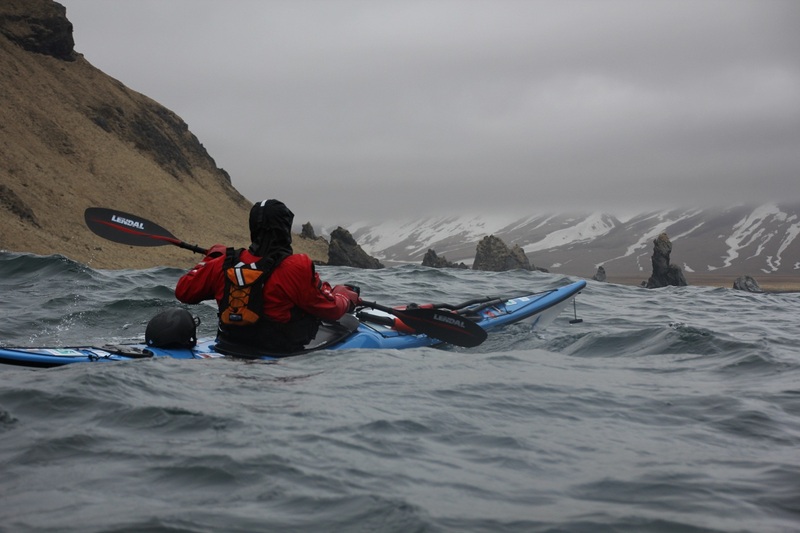 They will then continue across the fjords and mountains towards the south of the island until they reach Longyearbyen, the largest settlement in Spitsbergen. 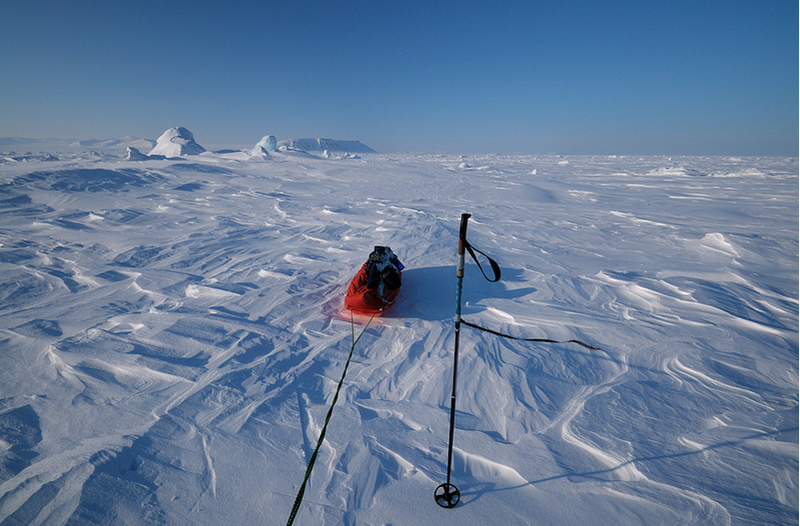 The expedition team hopes to complete the expedition, unsupported and without resupplies, in 50 to 60 days. Throughout the way the team will take in-situ measurements and will carry out scientific observations. With a light set of instruments they will regularly measure the snow and ice thickness and surface layer air temperature data and drift speed of local ice floes. In 1893, Nansen embarked on a daring plan of sailing his ship, the Fram, into the Arctic icepack and using the natural drift of the polar ice to reach the North Pole. 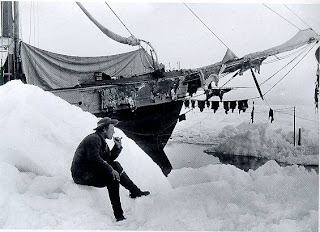 After several months in the icepack, Nansen calculated that it might take over five years for the Fram to reach the Pole and Nansen devised a new plan. On the 14th of March 1895, Nansen and dog sled expert and ship stoker Hjalmar Johansen left the icebound Fram and set out on skis and sleds with kayaks and 28 dogs for the North Pole. After reaching a record mark of latitude 86°14 ′ North on April 7th, they abandoned the attempt and retreated southwards, eventually reaching the island Franz Josef Land later that year. 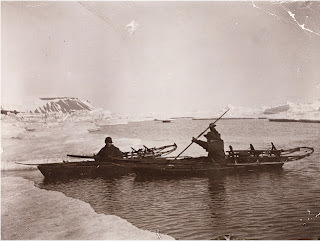 With some good fortune in June of 1896 they met up with an English expedition team and were reunited with the Fram that had emerged from the ice pack north-west of Spitsbergen, as Nansen had predicted. 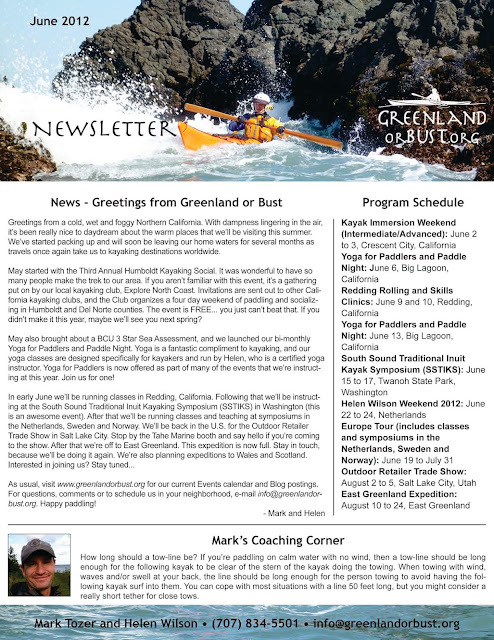 However, the ship never made it beyond 85° 57' North. 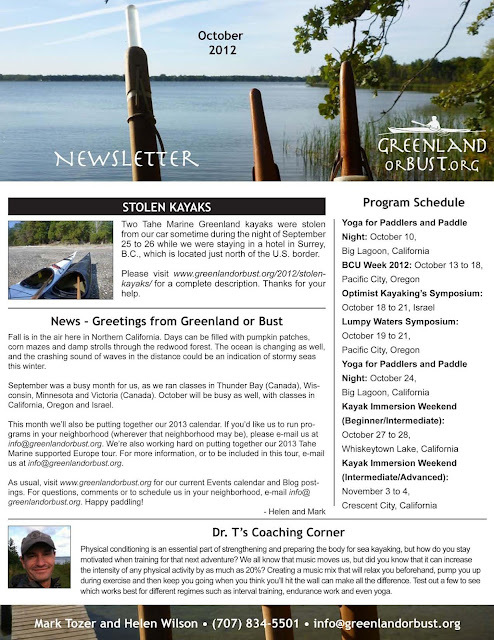 Norwegian Tholfsen and Estonian Palo have skied across Greenland and completed several mountain ski expeditions in Svalbard and Norway. The team spent ten months as crewmembers on Tara, a French sailing vessel that, similar to the Fram, froze into the Arctic pack ice and drifted across the entire Arctic Ocean. 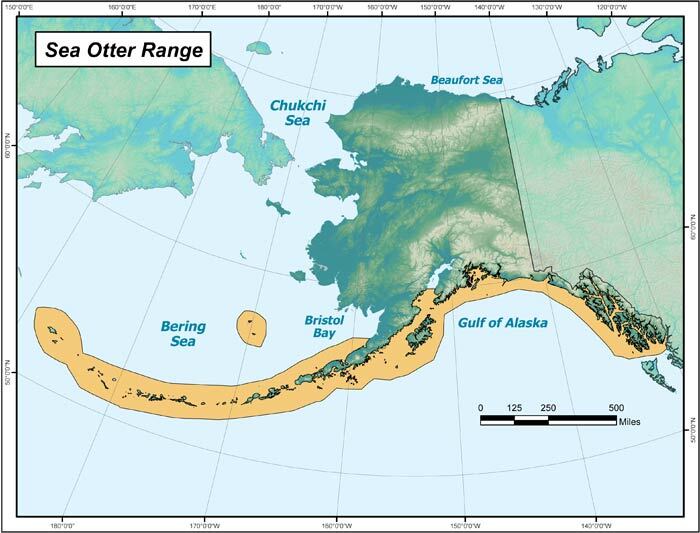 Currently, Tholfsen works to provide logistic solutions and field support in Arctic regions. 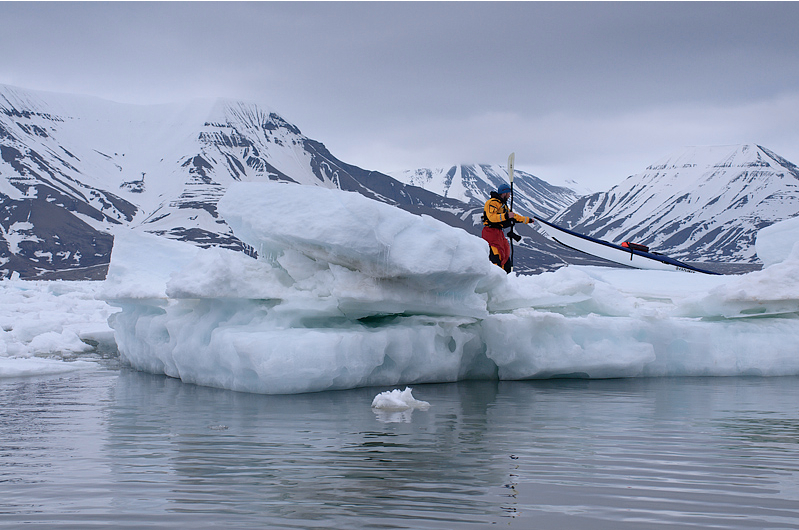 Palo has been working in Spitsbergen providing logistics and field support, and currently works as a PhD student and field technician at the University of Tartu, studying polar meteorology. 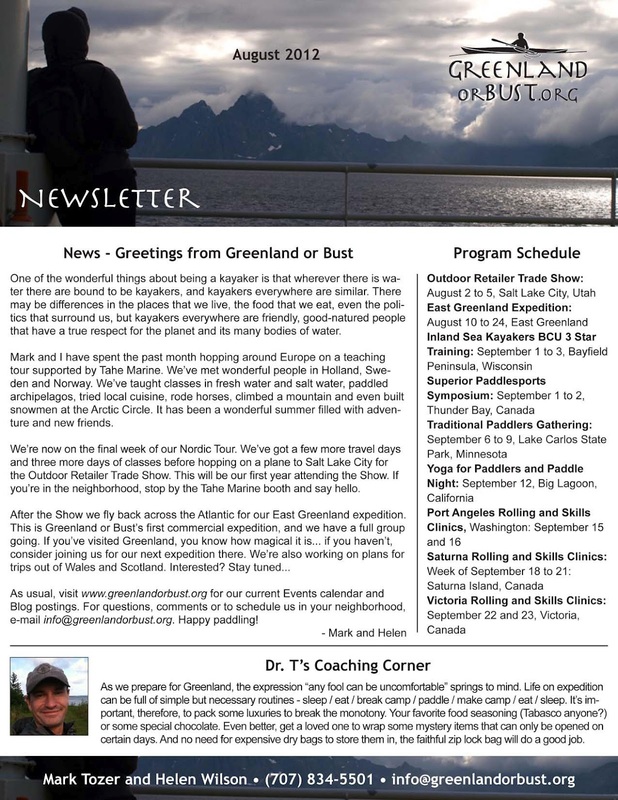 To learn more about Tholfsen and Palo and their expedition visit www.arcticreturntour.com. Our attendance at other symposiums and upcoming classes for the year can be found on the events page at www.greenlandorbust.org. 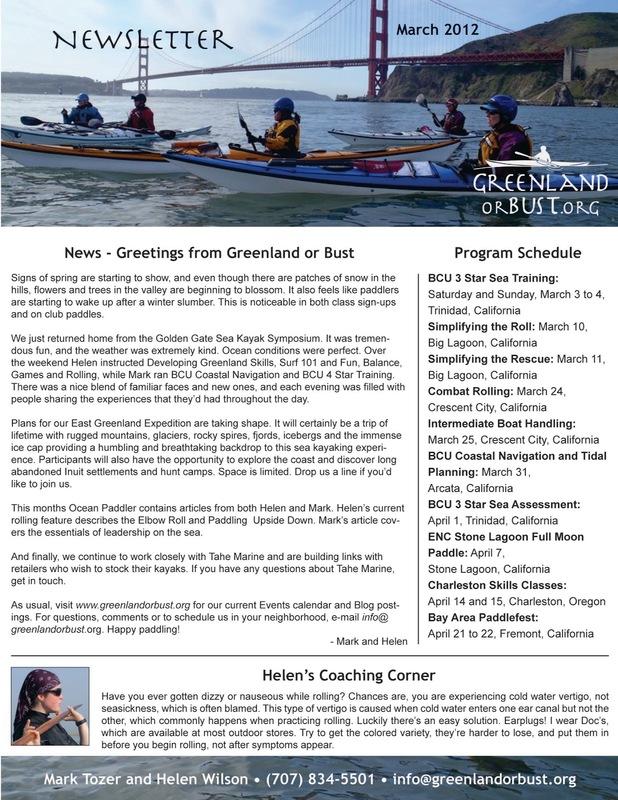 For those of you thinking of attending, Helen will be running Greenland skills development classes during this years Golden Gate Sea Kayak Symposium. Mark will be running three BCU programs - 4* Sea Assessment, 4* Sea Training and Coastal Navigation & Tidal Planning. Visit the Golden Gate Sea Kayak Symposium website, for updates and availability. 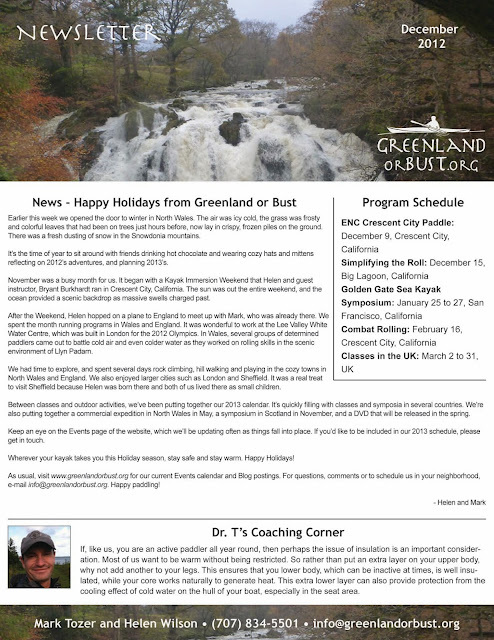 Looking forward to see you there! 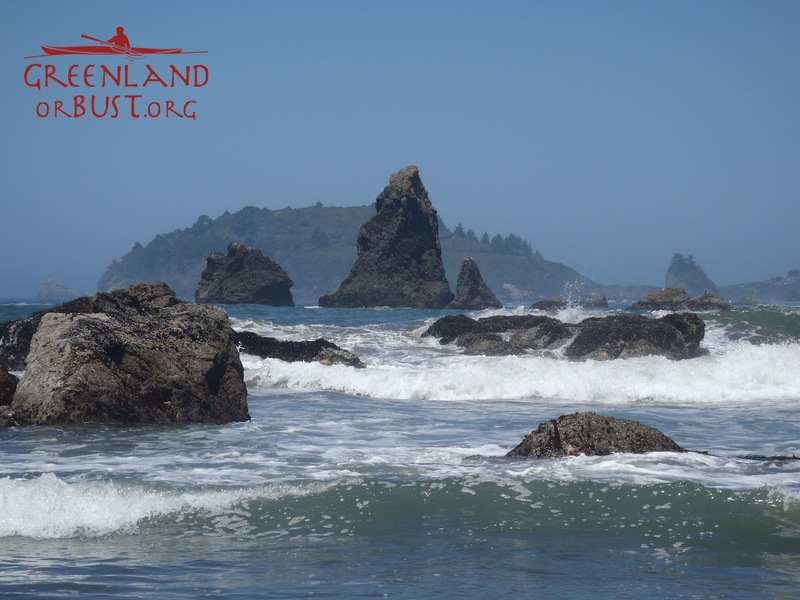 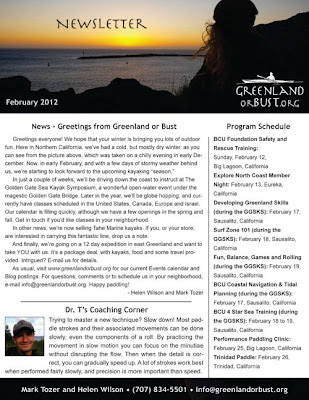 Our attendance at other symposiums and our own upcoming classes can be found on the events page at www.greenlandorbust.org. 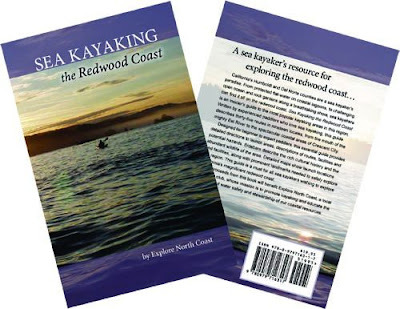 This book is a sea kayaker’s resource for exploring the California redwood coast and includes thirty-five routes in Humboldt and Del Norte counties. Designed for beginner to expert paddlers, this guide provides detailed directions to launch areas, descriptions of routes, facilities, potential hazards, informative sidebars and detailed maps. 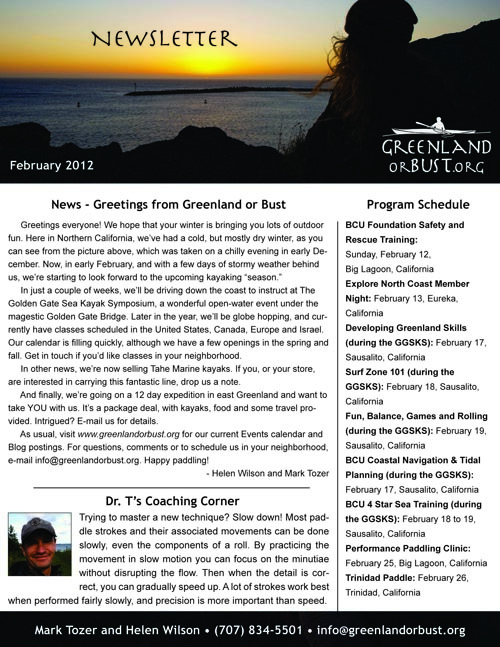 Available for purchase at: www.greenlandorbust.org. 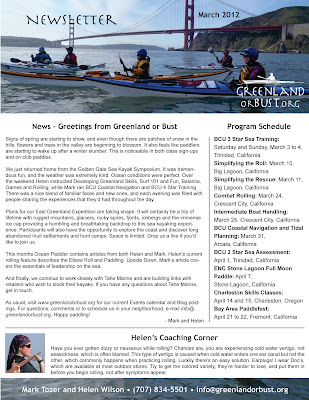 Our mission at Greenland or Bust is to promote kayaking using both traditional and contemporary skills. 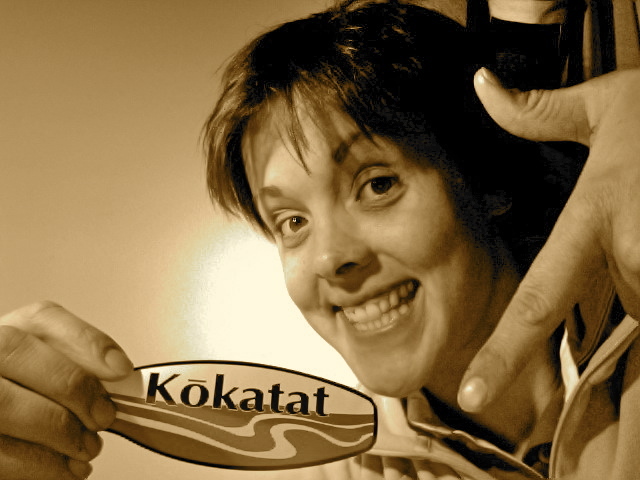 Quality presentations, instruction, rolling demonstrations and BCU certification programs are provided worldwide. 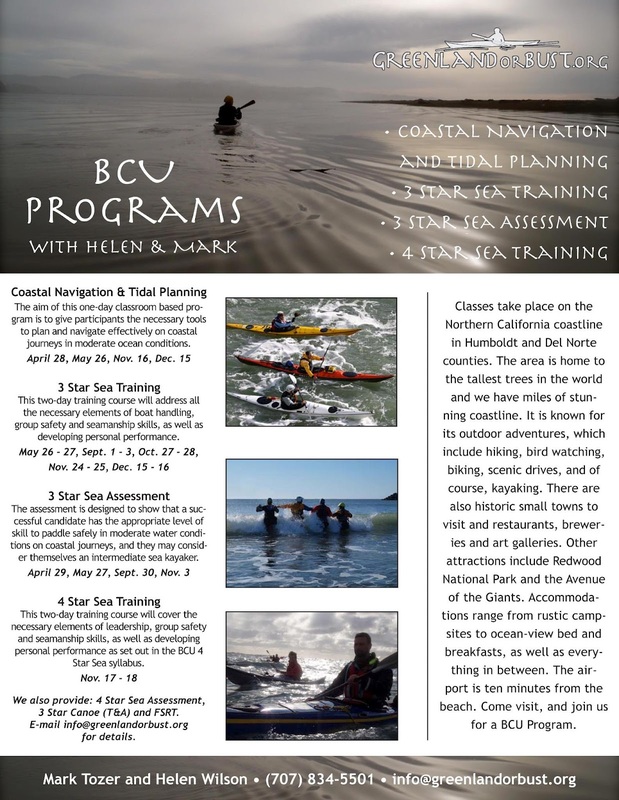 Helen Wilson is internationally known for her rolling and traditional skills instruction, while Mark Tozer is equally recognized for holding the highest BCU credentials possible. 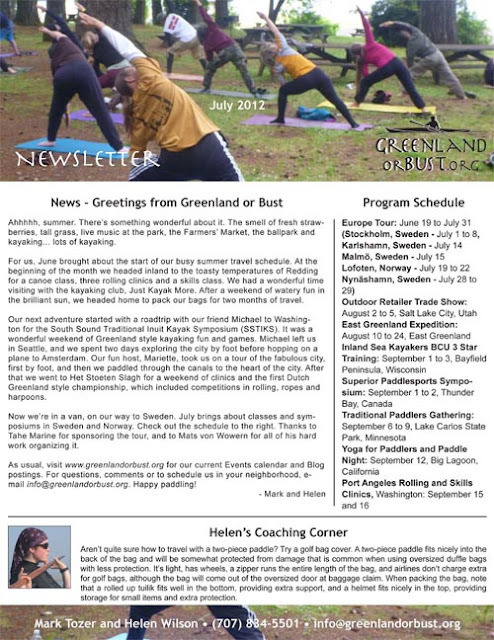 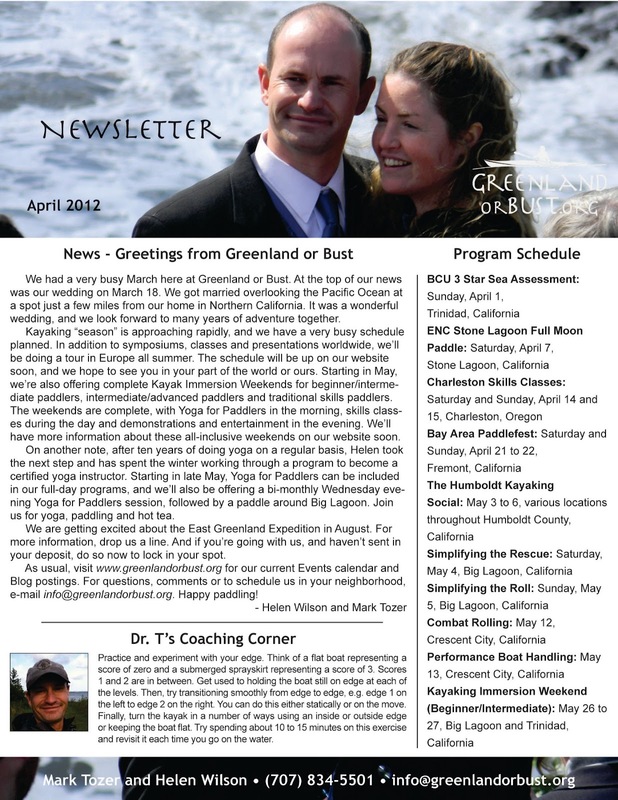 Our website, www.greenlandorbust.org, includes an active blog, a question and answer section and an online store, which features the DVD "Simplifying the Roll with Helen Wilson".